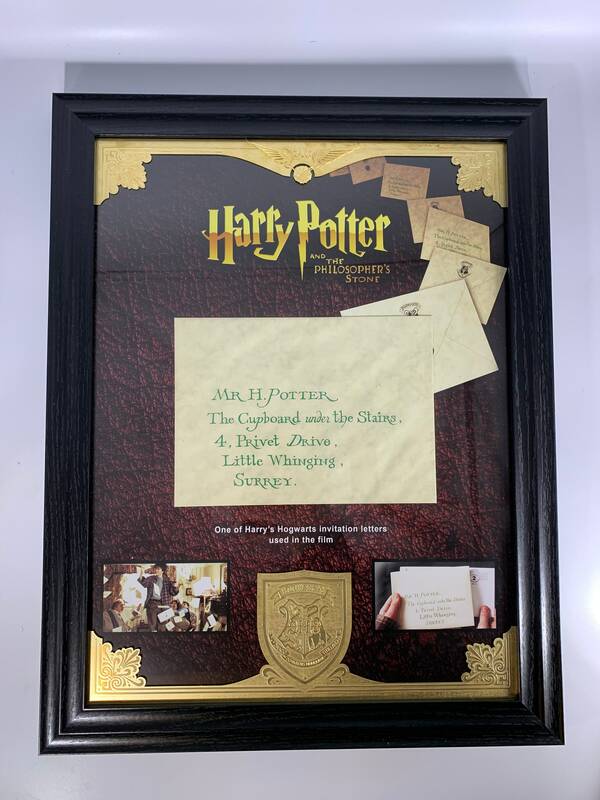 Production Used Harry Potter Letter/Envelope from 'Harry Potter and the Philosopher's Stone' these letters can be seen flying in the front room of Harry's House. 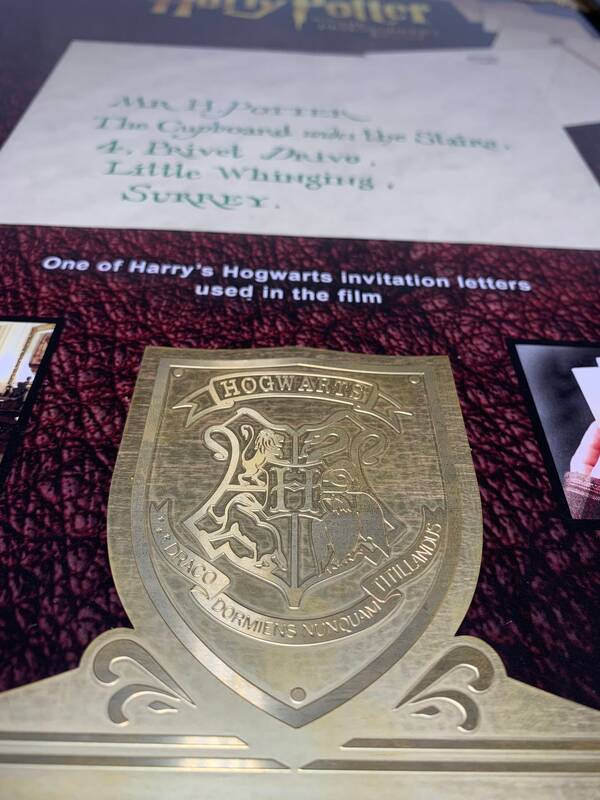 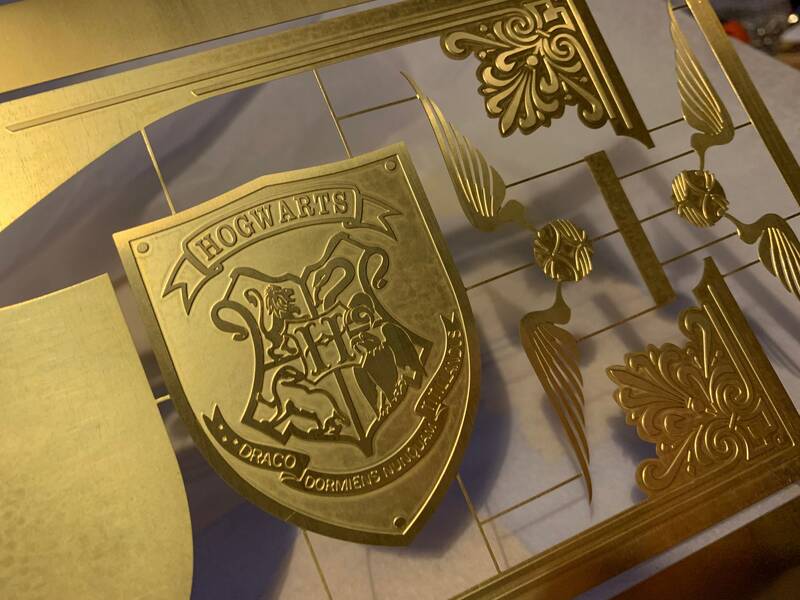 The Hogwarts stamped envelope is made out to a Mr H. Potter, The Cupboard under the Stairs, 4, Privet Drive, Little Whinging, Surrey. 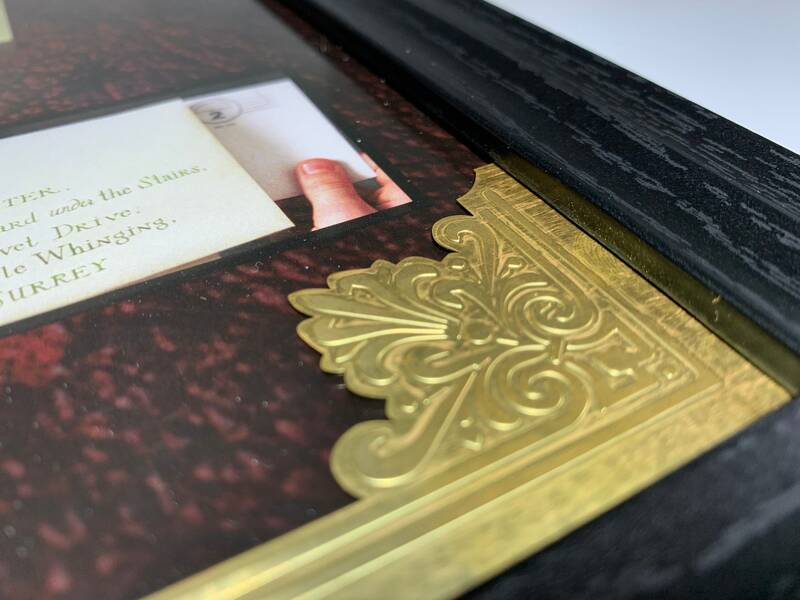 Comes with a custom brass etching detail bonded to a high gloss glass pane,. 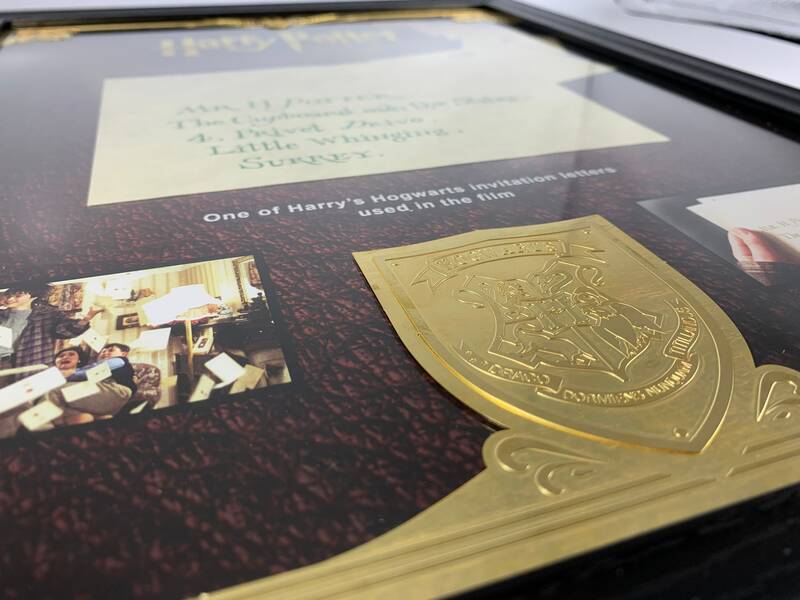 The frame comes with our signed Reliquary certificate of authenticity.